Noneconomic damages are no longer limited for medical malpractice personal injury plaintiffs in Florida (N. Broward Hosp. Dist. v. Kalitan, Fla., No. SC15-1858, 6/8/17). Noneconomic damages compensate people for injuries that can't be quantified easily, like pain and suffering. Most states have limits on these types of damages in medical malpractice cases, so the court's decision could have some influence outside Florida. Additionally, congressional Republicans have been trying to enact medical malpractice tort reform measures, including damages caps, through their Obamacare repeal and replacement bill. The court issued a per curiam, or unsigned, opinion, which Robert S. Peck told Bloomberg BNA he took as a sign the majority considered the issue to be a “no brainer.” Peck is the founder and president of the Center for Constitutional Litigation in Washington and regularly litigates on behalf of plaintiffs seeking to overturn tort reform laws. Peck said challenges to noneconomic damages caps are filtering up through the courts in other states, in addition to one currently before the Oklahoma Supreme Court. The Florida court's decision, though based on state law, could have an impact on those cases, he said. Peck noted that the court cited opinions from Illinois, Wisconsin, and Texas when explaining its reasoning. William Large, president of the Florida Justice Reform Institute in Tallahassee, “respectfully disagreed” with the majority decision. Large told Bloomberg BNA the court “improperly injected the judicial branch into the legislative process” when it decided there was no rational basis for the cap. 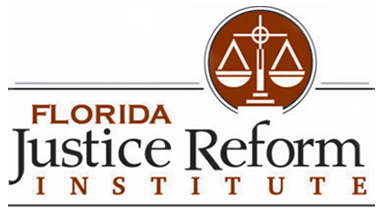 The FJRI's mission is to “fight wasteful civil litigation through legislation, promote fair and equitable legal practices, and provide information about the state of civil justice in Florida,” according to its website. The group filed a friend-of-the-court brief in the case, arguing the caps should be upheld. The majority's opinion applied the analysis from an earlier case argued by Peck, Estate of McCall v. United States, in which the Florida Supreme Court, on a question certified from the U.S. Court of Appeals for the Eleventh Circuit, said the statutory cap on wrongful death economic damages violated the state constitution's equal protection clause. In McCall, the court said the statute in question—the same provision at issue in the present case, though as applied to wrongful death actions as opposed to personal injury claims—imposed unfair burdens on injured parties and didn't bear a reasonable relationship to the purpose the cap was intended to address, namely reducing an alleged medical malpractice crisis in the state. The present court said the same rationale applied in the personal injury arena. The statutory cap, Fla. Stat. § 766.118(2) and (3), provides a $500,000 cap for personal injuries arising from a health-care provider's medical negligence, and a $1 million cap when the provider's negligence resulted in death, a permanent vegetative state, or catastrophic injury. For an injury caused by a nonprovider's negligence, the caps are $750,000 and $1.5 million, respectively. The court said the varying caps were arbitrary and could result in a patient with a less severe injury receiving full compensation, while a catastrophically injured person “has utterly no chance of being fully compensated.” The caps discriminated between classes of medical malpractice victims, the court said. But the court in McCall found no evidence demonstrating how the cap alleviated the crisis, the per curiam opinion said. Moreover, there was no evidence, according to the McCall opinion, that a crisis still existed, or even if it ever had existed. The present court agreed there was “no evidence of a continuing medical malpractice insurance crisis justifying” the cap. Chief Justice Jorge Labarga and Justices Barbara J. Pariente, R. Fred Lewis, and Peggy A. Quince formed the majority. Justice Ricky L. Polston dissented in a separate opinion joined by Justices Charles T. Canady and C. Alan Lawson. Large told Bloomberg BNA the court went outside the traditional rational basis test and, by doing so, supplanted the Legislature's role. The Florida Legislature explained its reasons for enacting the caps, namely, to curb the high cost of medical malpractice actions and to promote the high quality of medical care, when it adopted the legislation, he said. Moreover, in deciding there was no current medical malpractice insurance crisis, the court “improperly injected the judicial branch into the legislative process,” Large said. It is the role of the Legislature, not the judiciary, to decide if a crisis exists. “Legislative bodies are rarely on the losing side of a rational basis analysis, except in Florida,” Large said. Peck, however, said the Florida cap was enacted in 2003, when a “perception of a crisis” existed. Studies conducted since then have indicated that tort reform measures like damages caps didn't solve the perceived problem of increasing medical malpractice insurance premiums, he said. States that haven't had damages caps have done just as well as states that have caps, Peck said. Additionally, if there ever was a crisis, it wasn't permanent, Peck said. 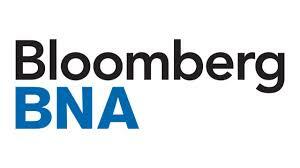 Peck told Bloomberg BNA he doesn't believe any proposals for federal medical malpractice damages caps will succeed. There are constitutional impediments to these caps, he said. These include the 10th Amendment's directive that certain issues be left to the states, and the Seventh Amendment's right-to-jury trial clause, which has been interpreted by the U.S. Supreme Court as providing that a jury must decide damages, and any law removing that function from the jury interferes with the right to a jury trial. Mark Hicks and Dinah Stein, of Hicks, Porter, Ebenfeld & Stein PA, Miami; and Thomas A. Valdez and Jeffrey R. Creasman, of Quintairos, Prieto, Wood & Boyer PA, Tampa, Fla., represented the defendants. Crane A. Johnstone and Scott P. Schlesinger, of Schlesinger Law Offices PA, Fort Lauderdale, Fla.; and Philip M. Burlington and Nichole J. Segal, of Burlington & Rockenbach PA, West Palm Beach, Fla., represented the plaintiff.